Brock Lesnar’s return to the UFC world in the last couple of years has raise some eyebrows, but the wrestling superstar has always had his sights set on some big opponents, and his current target is now different as he looks to challenge the current light heavyweight and heavyweight champion Daniel Cormier. A clash between the two has been rumoured for some time, and those rumours were only enflamed by a confrontation between the two after Lesnar unexpectedly stormed the cage when Cormier defeated Stipe Miocic at UFC 226 in July. Should the two square off in the Octagon, this will be a heavyweight clash like no other. Both men are veritable giants, both physically and in reputation. Lesnar, standing at a lofty 6 foot 3 inches and weighing some 300 lbs, is a fearsome hulk of a man. There’s something about the sheer size and density of his head that is enough to strike fear into a television viewer, never mind an opponent. Cormier, likewise, is no garden dandelion, though perhaps the daunting reputation enjoyed by the 39 year-old is more rooted in his impressive record of success, having lost just one of 21 professional MMA bouts. He too has wrestling origins of his own, including a gold medal at the 2003 Pan American games, and a bronze medal at the 2007 Wrestling World Championships in Baku. Cormier has made the UFC his own though, dominating the heavyweight divisions in recent years. If Lesnar is to overcome him, then he will have to prove his bite is as big as his bark. Perhaps one of the most interesting aspects of a potential clash of these two giants is their respective ages. Cormier, as mentioned before, is 39 while Lesnar is 41. To see two athletes of such veneration going head to head at this stage of their careers would undoubtedly be thrilling. Of course, heavyweight combat sport often lends itself better to those of a slightly older vintage, but it could be that both men will be seeking one final big statement victory as their respective careers wind down. It’s eighteen years since Lesnar first signed with the WWE, and the American has dabbled in the world of mixed martial arts on a couple of occasions. He has previously held the UFC interim heavyweight title, and although his most recent spell in the sport lead to ignominy in the form of a suspension and fine, he clearly possesses the experience necessary to compete at this level. Whether he can harness that experience effectively at his advanced age is another question entirely. Should the two face off, Cormier would be the undoubted favourite. His two UFC belts speak for themselves, and it would take a monumental effort from Lesnar to defeat him. Cormier is one of the greatest talents the sport of MMA has ever produced, and while Lesnar’s pedigree as a great fighter and showman is undoubted, his adversary clearly holds the cards in terms of technical skill and application. Some have suggested that any potential bout between Cormier and Lesnar would risk devaluing the appeal of the UFC as a whole. It has been argued that such a fight, especially given the nature of Lesnar’s confrontation with Cormier, could see the sport descend to a similar plane as that of WWE, one where showmanship and braggadocios behaviour supersede the actual skill and technique of the fighters in question. However, to dismiss the prospect of this fight entirely is to dismiss the values that these combat sports have traditionally sought to promote. In all forms of sport as physical combat, there has to be a relationship between power, skill, expertise and personality. The likes of Conor McGregor and Ronda Rousey have made their names in the sport through their personas, and their ability to spice up the stakes of their fights with the way they interact with both fans and opponents. McGregor’s upcoming fight with Khabib Nurmagomedov is his first in two years and while he is expected to lose in Khabib McGregor odds, his persona will no doubt draw in a good crowd for the bout. Lesnar too has built a career on the virtues of showmanship and performance in the form of physical combat. This is a quality that few other sports can deliver. When Lesnar and Cormier do take to the Octagon, it will be an event which will cause the sporting world to take notice. Perhaps new passions for MMA will be bred among impressionable young fans, and the next generation of McGregors and Cormiers will be inspired. It will be a heavyweight clash like no other, a summing up of that which makes the UFC so appealing. The only question is which one of these contrasting heavyweight fighters can hit harder on the night? 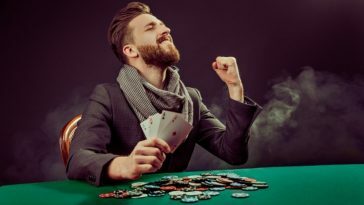 Previous article 4 Essential Casino books to beat the House! 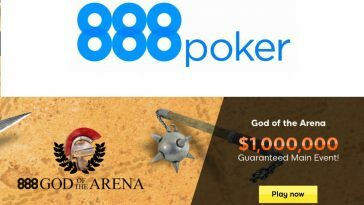 Next article What’s in the pot at 888 this Christmas?